The painting known as "Street With Castle Ruins" made its way to a town near Philadelphia, where the FBI recovered it. A 19th century painting Nazis stole roughly seven decades ago has returned to Poland. Nazis looted the work known as "Street With Castle Ruins" during World War II. Somehow over the years, it made its way to a town near Philadelphia, where the FBI recovered it. 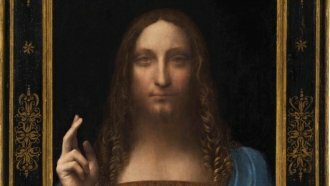 An FBI spokeswoman said the person in possession of the painting didn't know it was stolen and that the U.S. Attorney's Office doesn't plan to press charges. The FBI returned "Street With Castle Ruins" to Warsaw on Wednesday. Poland's minister of culture and national heritage thanked America's ambassador for his country's cooperation.